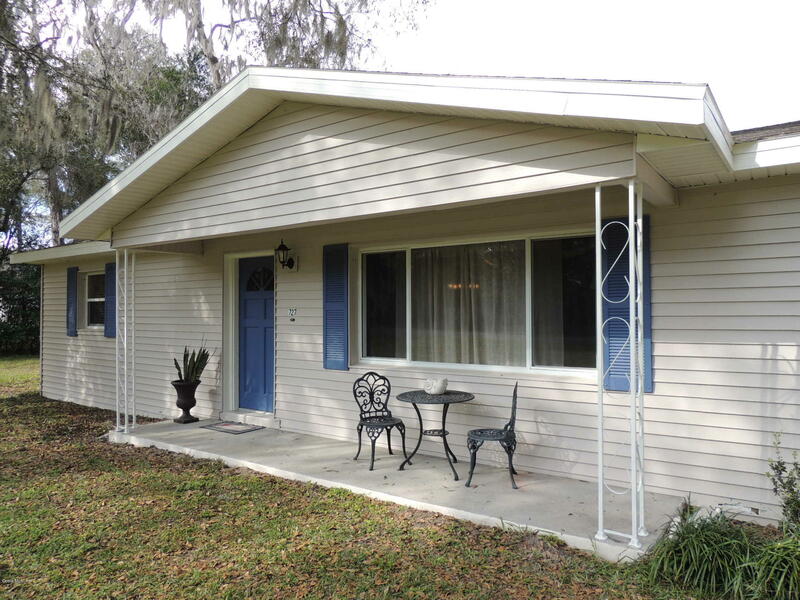 Adorable, Affordable POOL home in city limits!! Come enjoy the best of small town living. This home is located right on the edge of town in a quiet, well established neighborhood. Very easy access to Gainesville or Ocala. Three Quarters of an acre allows lots of room to enjoy the in-ground pool and fenced in back yard. Beautiful mature Live Oaks grace the property. This home has freshly painted exterior, brand new glass top range and new high end laminate countertops. Sit on the screened back porch and relish the great Florida weather.